A while ago, I applied to be a part of AllThingsPaperUK design team and low and behold, I was picked! I couldn’t quite believe my luck when I was but I’m super excited to start this journey! I will be showcasing this amazing shop as much as I can. 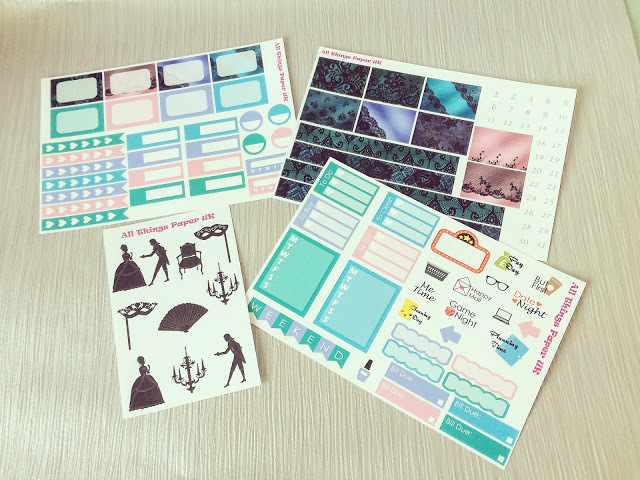 I can honestly say that even though these stickers were free as part of the Design Team, I have been a fan of Sarah’s store for a while now and have made several orders with her! I love her weekly kits first and foremost. 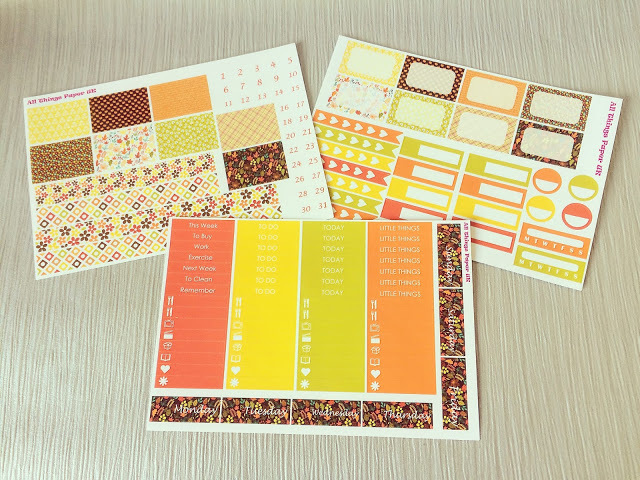 For the price of around £10.00, you get 7 sheets with a huge range of stickers from full boxes, headers, decorative stickers, half boxes and checklists. 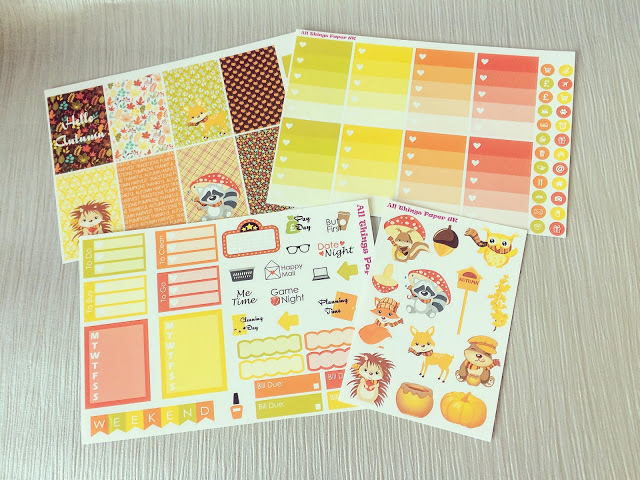 This first kit is called Hello Autumn. Now naturally, this isn’t a kit I would normally purchase myself; I hate the colours orange and yellow but seeing as it is basically Autumn right now, I thought I might as well give it a go! As you can see in the first photo, my Before the Pen spread actually turned out quite well! I actually really like the mix of the colours together! Next up is probably my favourite kit in the bunch: Masquerade. 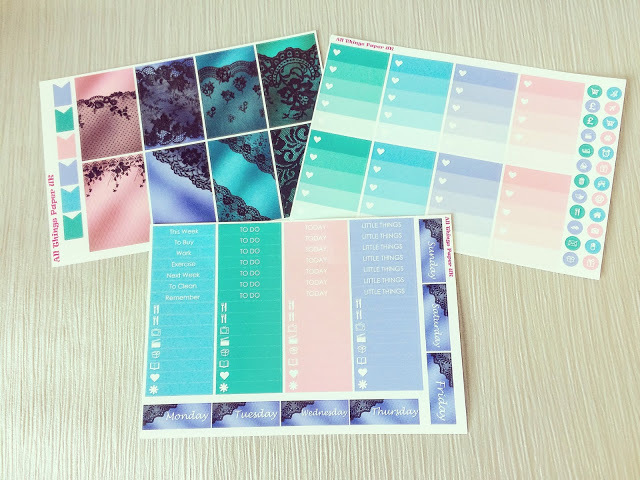 Now the colours on this kit are ones I instantly go for: blues, pinks and purples. If I hadn’t got this kit included, I would’ve bought it anyway! I love how dramatic the kit looks with the black lace overlay too, very Phantom of the Opera. I’m going to use the kit in October some time when the weather gets a little gloomier so it will brighten up my day looking at it! 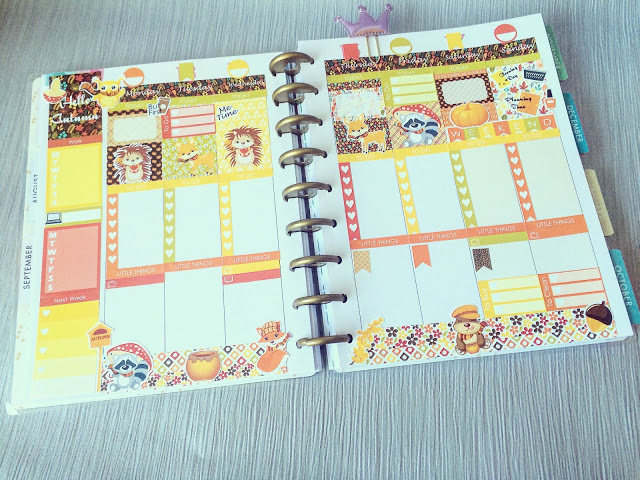 Finally is Up, Up and Away; this kit is in the personal size as I have a smaller planner too. 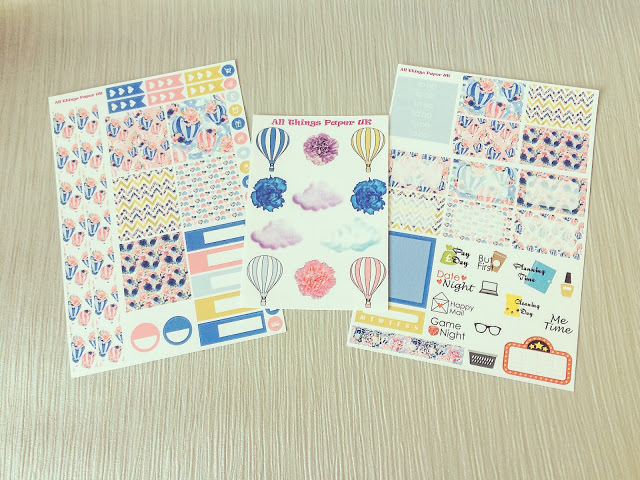 I might actually use this kit in my Happy Planner on a week where I don’t fancy having tonnes of stickers on my week. I’ve bought a hot air balloon kit from another shop before so I loved this one when I saw it! 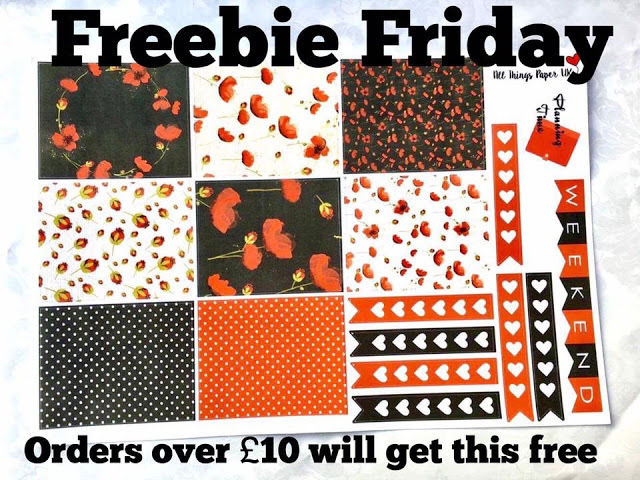 This Friday, when you shop on AllThingsPaperUK, you can use the code SIAN15 for 15% and if you spend over £10, you will get a freebie included too (only valid today, Friday 16th September though)! I’d also love to say a massive thank you to Sarah and the other members of the design team: Stephanie, Emma, Chloe, Hayley and Stacey (their Instagrams are linked). 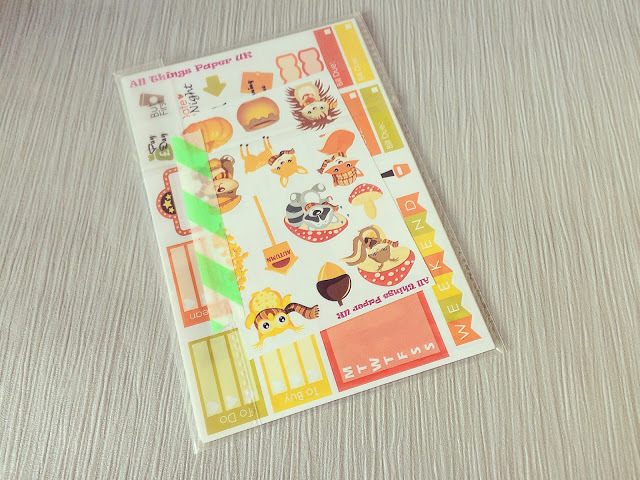 *These stickers were sent to me for free but all views are my own. I genuinely would not promote an Etsy shop that I didn’t know and love so I’m excited to be part of the design team!